Thank You for my Angel of Violets who lives in the pod of violets on the windowsill of my kitchen. I am drinking a cup of coffee and he begins to speak with me. “My dear friend! Do you know that the tender flowers you see are the symbols of rising above challenges? By the way, despite you often forget watering its, violets thrive in the toughest conditions. And now you are observing the miracle: In all beginnings dwells a magic force for guarding us and helping us to live” smiling Angel whispers. “Why are you so sad? Why did you forgеt that you are the luckiest person in the world because you can speak with me, Angel of Violets? You know Hermann Hesse and Johann Sebastian Bach had such ability to speak with me and they will help you to understand how to transform your sadness to happiness. Listen attentively!” the Angel inspires and sings the poem “Stages” by Herman Hesse. “I am the Cosmic Spirit living in your kitchen, in the pod of violets. For today and your new beginning inspire, sing and play Bach’s genius joke, and live and love your Way” my Angel smiles. You know we are all gifted and blessed to see and speak with angels. And they are always near us and we need just to clear our eyes and see the wonderful miraculous reality we all live in. Thank You, my Angel of Violets for opening my eyes, thank You for Hesse and Bach. Speaking with an angel, drinking coffee, listening Bach – what’s the beautiful beginning! What’s the happiest Monday! Wish You the same, my dear friend! Thank You for creating music we are able to listen. I love music by Johann Sebastian Bach. “Bach” is the German word for “brook”. “Not Brook but Ocean should be his name” said Ludvig Van Beethoven. 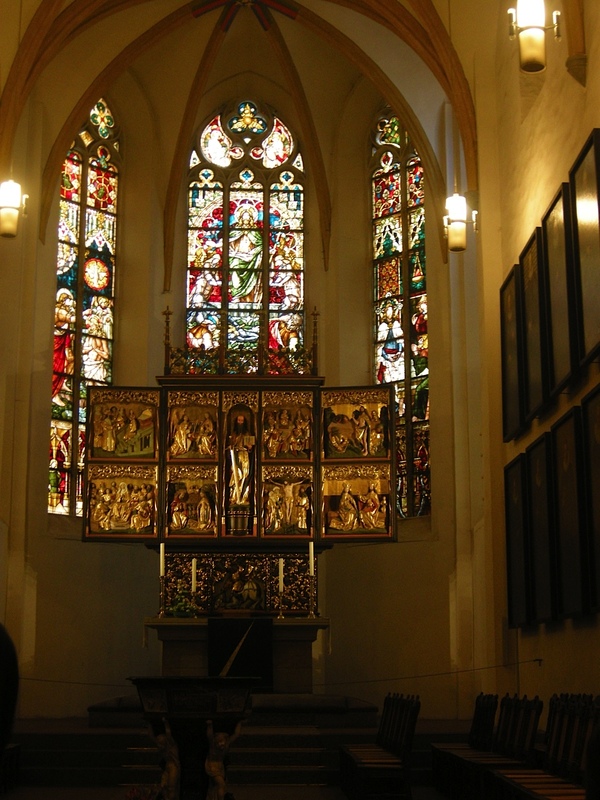 I am lucky because I have had a possibility to be in Leipzig and walking to St. Thomas Church where Bach worked as a cantor from 1723 until his death in 1750. Bach makes my mornings. Every preludes and fugues are challenge for my fingers and enigma for brain and soul. I love to think that I am playing and listening the harmony of the universe. “First, he was an intensely spiritual man. Second, he devoted his massive talent to the God he believed graced him with it,” Rick Marschall wrote in “Johann Sebastian Bach”. “You want to discern a personality in my music?” we can perhaps hear him asking. “Listen closer and you will find one – the Lord Jesus Christ,” Rick said. Below Johann Sebastian Bach’s 1722 seal, used throughout his Leipzig years. It contains the letters ‘J S B’ superimposed over their mirror image. His remains are buried under a bronze epitaph near the altar. 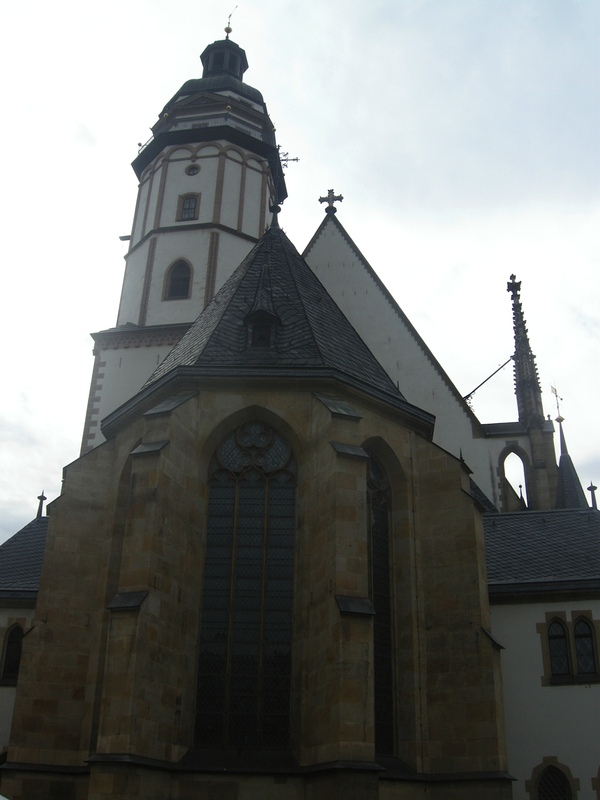 Another notable feature of the Thomaskirche is that it contains two organs. The older one is a Romantic organ by Wilhelm Sauer, built from 1885–89. Since this organ is considered “unsuitable” for Bach’s music, a second organ was built by Gerald Woehl’s organ building company from 1999–2000. 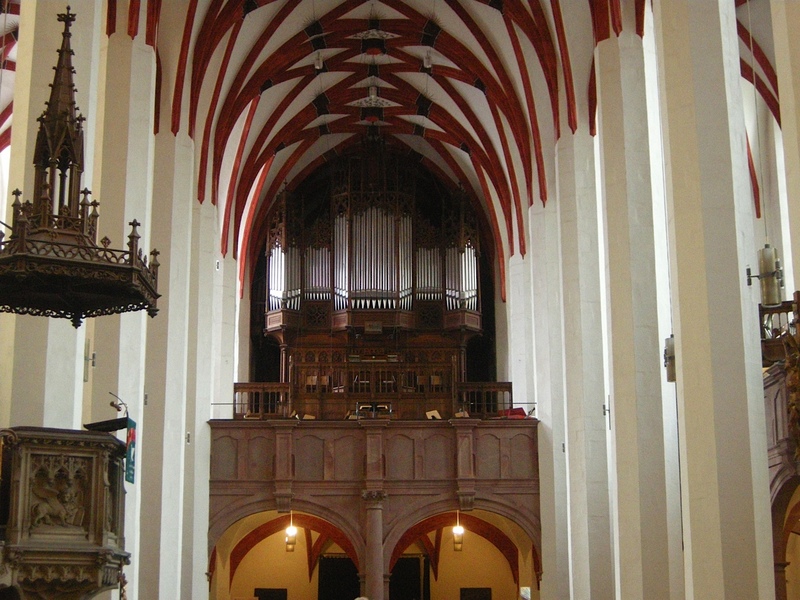 This “Bach organ” was designed to look similar to the old organ on which Bach had played in the Paulinerkirche. 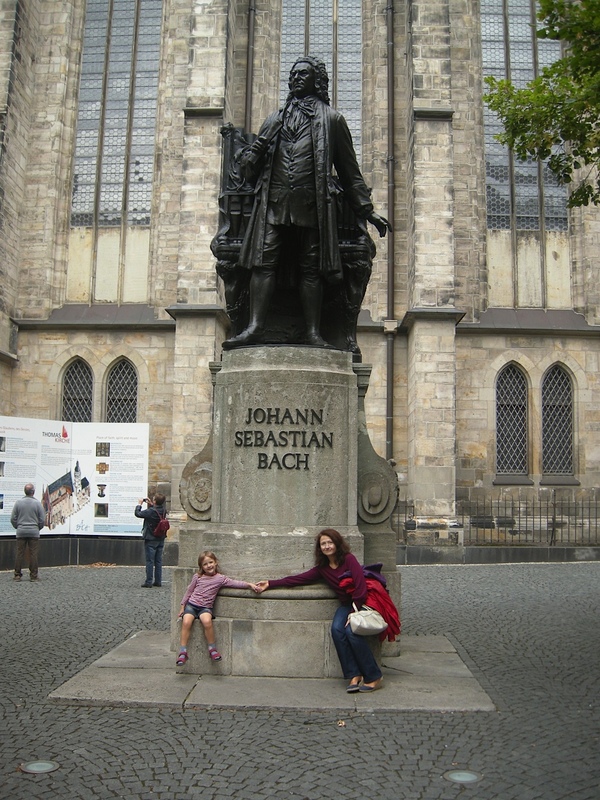 A statue of Johann Sebastian Bach by the Leipzig sculptor Carl Seffner that stands next to the church was dedicated in 1908. This words are true for me. Thank you for sharing this moment with me!